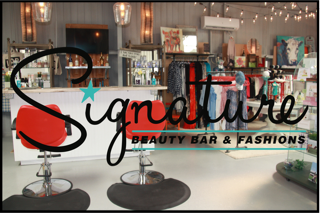 Signature Beauty Bar & Fashions is a fresh new concept in Granbury. Our motto is “Live Beautifully & Dress to the Nines!” We are the one-stop shop for your beauty experience. This is the perfect place to go when you have a date or a special event to attend and you just don’t know what to wear or have the time, or the energy, to do your own hair or makeup. Let us send you to your event feeling and looking refreshed and ready to take on the night! No date or special event? No problem. Make us your special event and grab your girlfriends and reserve a girls’ night out here with us! We have makeover parties and dress-up parties that are sure to keep your friends talking for weeks. 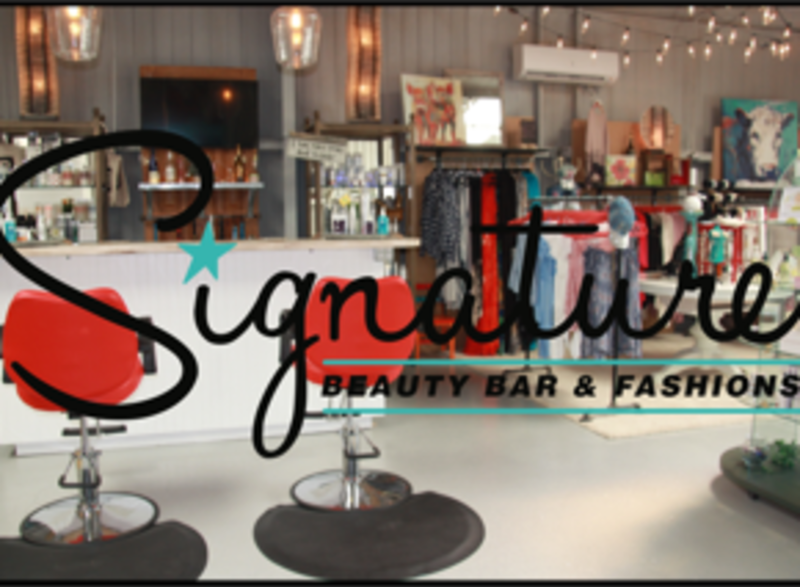 Birthdays, Bachelorette parties, GNO parties…young or old, all ages love Signature Beauty Bar! Come and be a part of the Signature look!